MCL injuries are common among active children and teens, especially as they return to sports practices and playground time at school. An MCL injury can range from a sprain to a full tear, and depending on its severity, extensive treatment may be required. As one of the four main ligaments in the knee, MCLs (medial collateral ligaments) are responsible for stabilizing the knee. The most common way for MCL sprains and tears to occur are when the knee is struck on the side, causing it to unnaturally bend inwards towards the other knee. Another common way is if the leg below the knee bends out too far or twists. May have a wobbly or unstable knee. The best way to know how to treat your child’s MCL injury is to visit a medical professional. It can then be diagnosed as to whether the joint ligament is sprained or torn, and what your treatment options may be. Most minor to moderate MCL injuries can be treated at home. A medical professional will recommend ice, rest, and anti-inflammatory medicine, in addition to crutches or a brace for more serious injuries. Gentle exercises and reduced physical activity may also be recommended. For severe MCL injuries, surgery may be required. If you or your child suffer a possible MCL injury, visit your nearest FastMed Urgent Care immediately. Our healthcare professionals will diagnose the severity of the knee injury and decide the proper course of treatment. Our clinics feature on-site testing labs and X-rays, so we can accurately diagnose knee injuries without the hassle of referring you to another location. 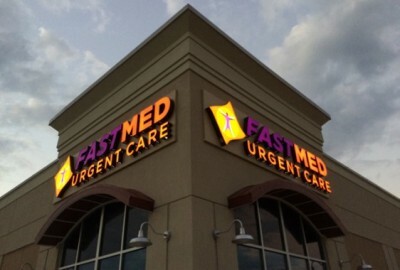 FastMed Urgent Care accepts most major insurance plans, including Medicare and Medicaid. Walk in and visit us! Find out how our compassionate and affordable care can help heal virtually any MCL injury.